Thread Galling, what is it? Thread galling also known as cold welding, occurs during installation when pressure and friction cause fastener male threads to seize to the threads of the female nut or tapped hole. Generally, once a fastener has seized up from galling it is impossible to remove without cutting the bolt or splitting the nut. Thread Galling, What Is Happening? Fastener thread surfaces have microscopic high points that can rub together during assembly, in most cases, this does not present a problem as the points slide over each other without damage. Under certain conditions and with fasteners such as stainless steel with protective oxide films, the surfaces will not slide past each other; protective oxides rub off at the high points, exposing the base metals and causing them to weld together. The high spots will then shear and lock together, significantly increasing friction and heat due to Low Heat dissipation at the high points. As tightening continues the increased pressure results in more material being sheared off the threads, this cycle continues with even more shearing and locking until the threads are obliterated with fasteners will no longer turn in either direction. Galling is most often seen in stainless steel, aluminium, and titanium fasteners and is compounded when fasteners have damaged or fine threads. Stainless, aluminium, and titanium fasteners form thin protective oxide films on their exposed surfaces that prevent corrosion. The protective oxide film can be rubbed or scraped off under the pressure and movement of the fastener being tightened. When this happens these relatively soft metals come into direct contact, friction increases and the chance of galling increases significantly. 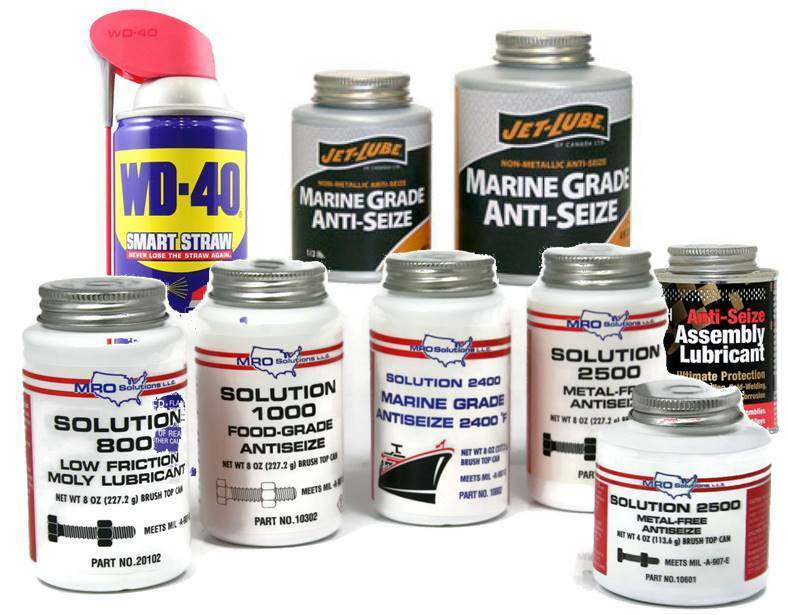 Special anti-seizing or anti-galling lubricants can be used to reduce the chance of Galling. Even a standard lubricant, such as WD-40®, AC90 ® can help reduce friction and prevent galling. Solid type lubricants like Molybdenum Di-Sulphide will also work by creating layers over the materials that form a weaker bond than the base metals and form a barrier that the high points cannot push through and therefore not allowing contact of the base materials. Many anti-galling lubricants contain molybdenum compounds; they should be avoided for applications in the food industry. If you use an A4 nut on an A2 bolt, the different materials have different hardnesses and consequently have unequal potential damage levels to their oxide layers under friction, this reduces the bare mating surfaces that can fuse. Don't use Bolts or screws to Pull Joints Together; Bolts are not designed to pull together a joint or force materials into position. Doing so drastically increases the chance of Galling. The materials being bolted should already be in place so the nut can be spun down by hand until the final tightening. If necessary, use clamps to hold the joint together during bolting.